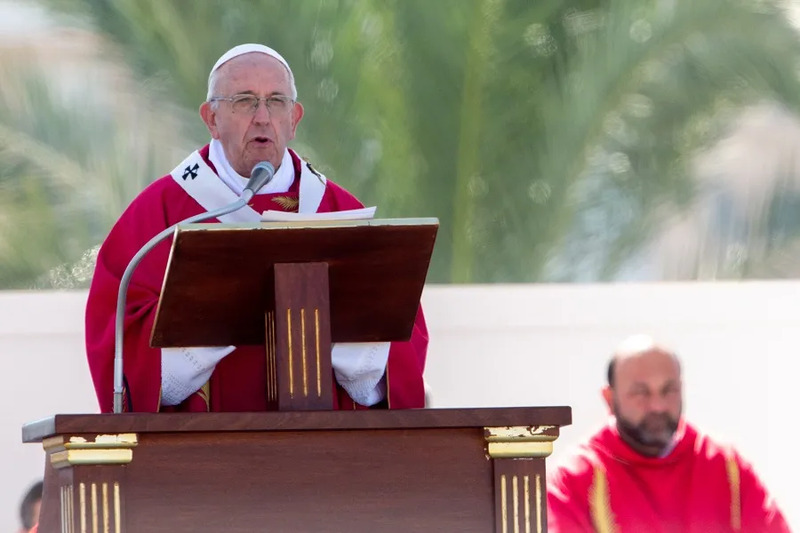 Palermo, Italy, Sep 15, 2018 / 06:21 am (CNA/EWTN News).- In Sicily Saturday, Pope Francis said the wounds of the Church and the world are the wounds of Christ, and they must be touched and seen. London, England, Jun 28, 2017 / 03:36 pm (CNA/EWTN News).- A final appeal to allow continued life support for a U.K. baby whose parents want to seek experimental treatment in the U.S. has been rejected by the European Court of Human Rights. Rome, Italy, Apr 13, 2018 / 01:20 pm (CNA/EWTN News).- The Legion of Christ has issued a renewed apology for abuses committed by the institute’s founder, and pledged to reach out to victims individually to respond to requests for compensation. “We apologize to all the victims throughout our history who have suffered some form of abuse, knowing that this request for forgiveness will never be sufficient to heal the deep wounds that were left,” the Congregation of the Legionaries of Christ said in an April 13 statement. The statement comes in response to a March 26 letter from eight men who say they were sexually abused by the institute’s founder, Fr. Marcial Maciel, and suffered psychological damage from the institute’s failure to believe their allegations. The Associated Press reported on the letter April 12, saying that the men were among those who raised initial accusations against Maciel in the late 1990s. The Legion of Christ was long the subject of critical reports and rumors before it was rocked by Vatican acknowledgment that its founder lived a double life, sexually abused seminarians, and fathered children. The Legion initially denied allegations against Maciel, until the Vatican determined that the accusations were accurate, and the organization issued an apology in 2014. The eight signatories of the March 26 letter called on the Legion to recognize openly that they had suffered abuse from Maciel, and that the organization’s response after they initially publicized their allegations had caused “moral, psychological and spiritual harm” to them “in a continued, consistent and prolonged way,” the AP reported. They asked the Legion to formally recognize that victims’ reports about being abused were acts of service to the Church, not betrayals of the Legion. In 2006 the Congregation of the Doctrine of the Faith, with the approval of Pope Benedict XVI, removed Maciel from public ministry and ordered him to spend the rest of his life in prayer and penance. The congregation decided not to subject him to a canonical process because of his advanced age. Maciel died in 2008. Benedict began a process of reform for the Legion of Christ, a process continued under Pope Francis. Included in that reform process was the establishment of a compensation commission, which was active from 2011-2014 and gave an undisclosed sum to 12 people, the AP reports. The eight signatories in their letter ask for this commission to be re-formed to hear their cases. Signatory Jose Barna said he did not approach the original commission because he did not trust it, but that he now believes the effort “is worthwhile, because we have suffered for a quarter-century many humiliations, many defamations nationally and internationally,” according to the Associated Press. “[W]e acknowledge with sadness the initial incapability of believing the testimonies of the persons who had been victims of Father Maciel, the long institutional silence and, later on, the hesitations and errors of judgment when setting out to inform the members of the congregation and others. We apologize for these shortcomings, which have increased the suffering and confusion of many,” the Legion said in its 2014 statement. The institute said it would reach out individually to the signatories to discuss their requests and reiterated its commitment to seek reconciliation and implement safe environment policies moving forward. The Legion of Christ was founded in 1941 in Mexico. As of 2016, the it had 963 priests, 1,650 male religious, and 121 parishes. Its associated lay movement is Regnum Christi.